Ed Miliband’s election as leader of the British Labour Party means that all three London parties are now led by men who entirely owe their position not to talent or merit but to being born into a privileged elite and weaned on a silver spoon. Just like Cameron and Clegg, the Oxbridge educated millionaire oozes over-confidence, conceit, self-satisfaction and complete dissociation from the way 99.99% recurring of the population live their lives. We can be certain that Ed Miliband has never had to worry about paying a gas bill. His party conference speech might as well have come from Cameron or Clegg, containing as it did the regulation waffle, banal truisms and new! improved! sales patter; a politics about as inspiring as an ad for dishwasher tablets. Being slightly to the left of Ken Clarke, he has quickly been dubbed ‘Red Ed’ by the Tory press; but I think we can rest assured the reddest thing about him will be the fine burgundy swilling in his gullet. His ascendancy completes the British state’s march backwards to the age of aristocratic, hereditary power after a brief, uncharacteristic dalliance with slightly more representative government during the 20th century. It now seems inconceivable that a failed bus conductor (Major) or an inland revenue clerk (Callaghan) or a grammar school boy (Heath) or a miner’s son (Kinnock) could ever lead a British political party again. The sheer staying power of the landed gentry who have controlled these islands for nigh on a thousand years is something to behold. The grandees never went away; they just put up patsies to do their dirty work when popular feeling was against them, tightened their grip of their Eton/Oxbridge breeding grounds, stockpiled their wealth as global London became the centre of financial power, and swaggered back to reclaim the commanding heights of their birthright just as soon as the population were dumbed-down, anaesthetised and hyper-individualised enough not to notice. Like all Labour leaders, Miliband will follow the mandatory left to right trajectory imposed by the British state and its agents and end up as yet another might-is-right market forces Tory in thrall to the City of London. His appealing aspects – his atheism, his Jewish intellectual background, his unmarried domestic arrangements – will not be enough to redeem him. Ah, I hear you cry, why am I being so negative and cynical when leftist opposition to the ConDems and their criminal attacks on the public realm is desperately needed, and at least Ed isn’t ‘extraordinary rendition’ sibling David? I’ll tell you why: he was endorsed by Neil Kinnock. 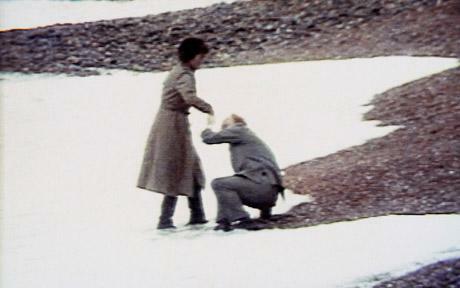 Here’s a rule of thumb I have followed for years: NEIL KINNOCK IS ALWAYS WRONG. I have found it to be a useful tool in sorting out where to stand on countless issues. Proud Brit Baron Bedwellty of Tufnell Park has built a career on sell-outs (socialism, the miners, Wales, Labour’s founding principles, the working class, Trade Unionism). His seal of approval is quite enough reason to write Ed Miliband off already.